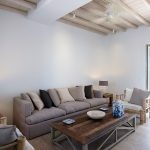 Enjoy a luxurious and relaxing stay in this stunning beachfront pool villa with mesmerizing sea views. 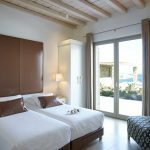 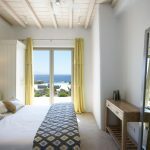 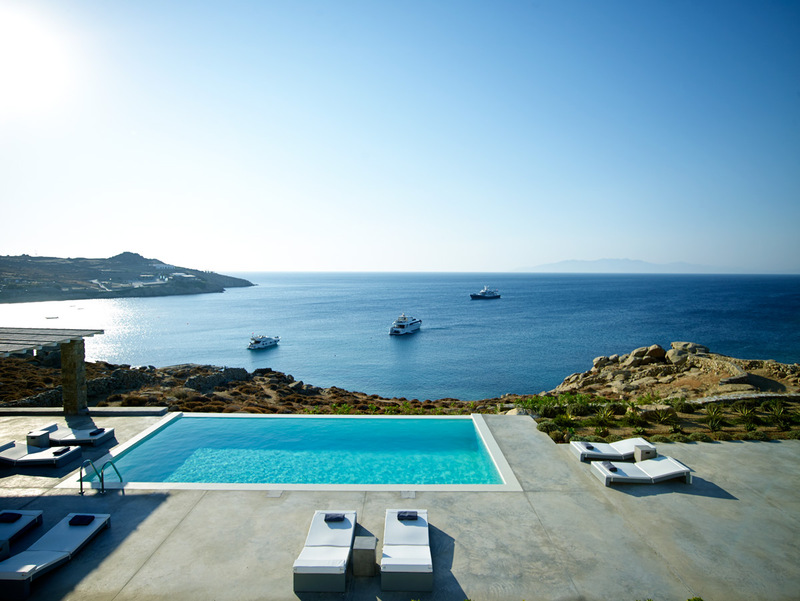 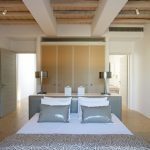 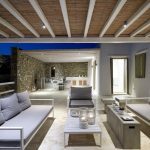 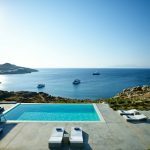 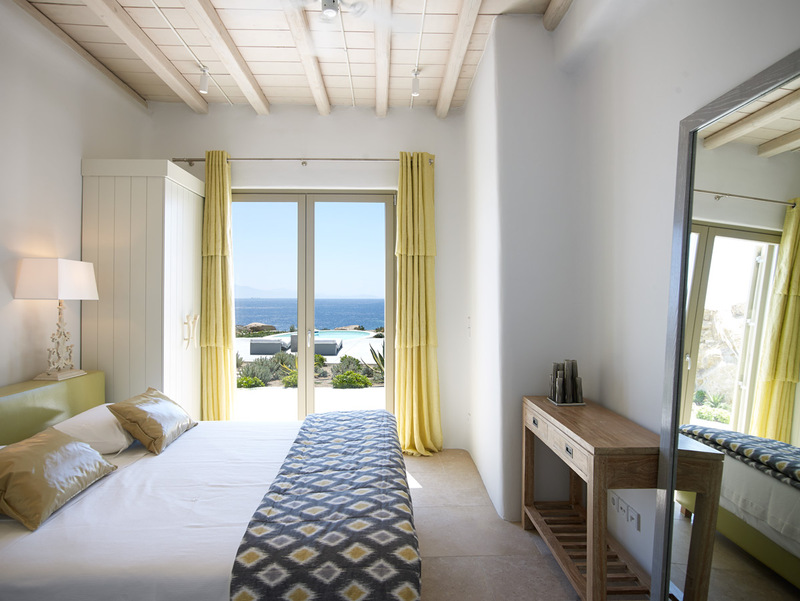 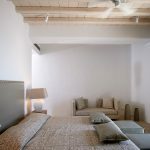 Every aspect of this exquisite property has been designed for the ultimate in comfort, relaxation and indulgence, so it is an ideal base for your dream stay on beautiful Mykonos. 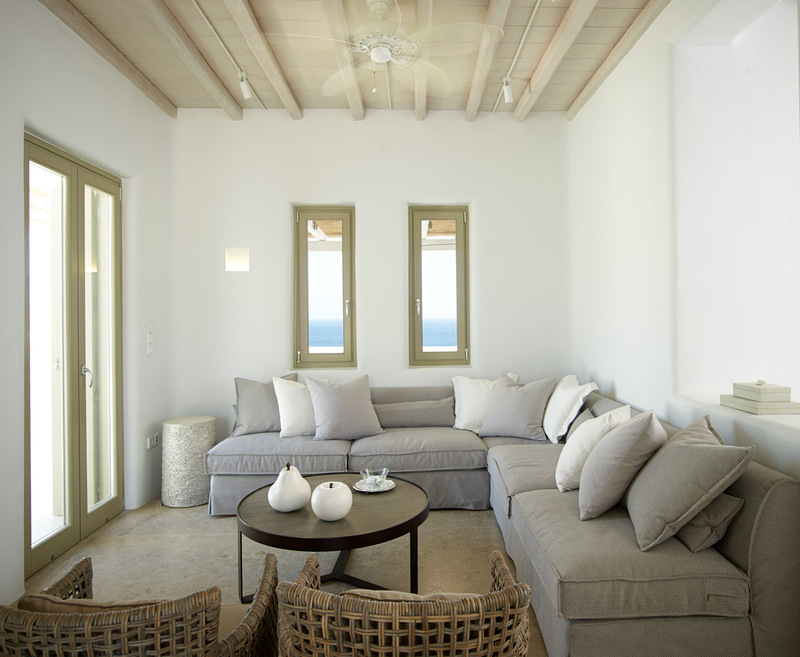 From first glance of its white stonewashed interior, this property oozes style and sophistication, with tasteful nods to its island location. 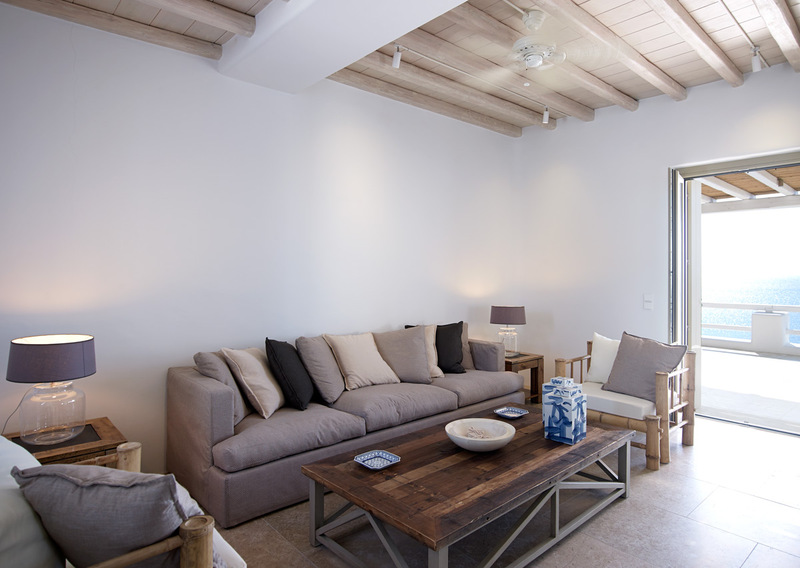 There are four villas in total in this private domain that each enjoy their own privacy yet provide shared spaces where a larger group can spend time together. 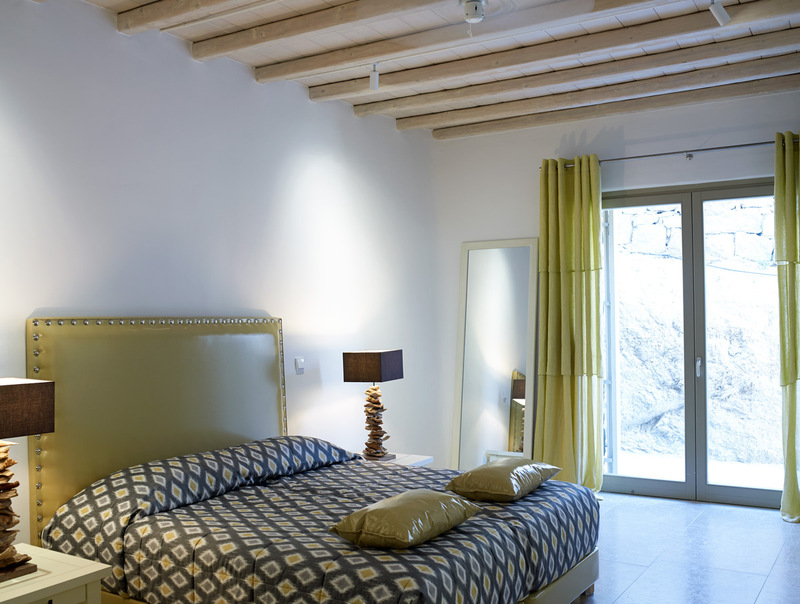 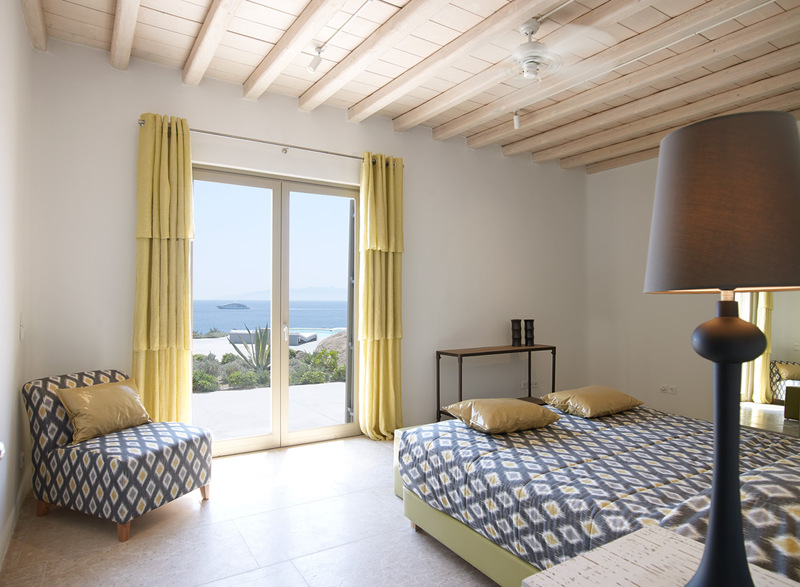 As you open the door to the villa, you notice how old and new have been woven together to bring both modern style as well as warmth and charm. 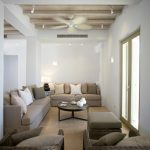 Exceptional features including two dining rooms, two kitchens and two play areas offer convenience and spacious luxury. 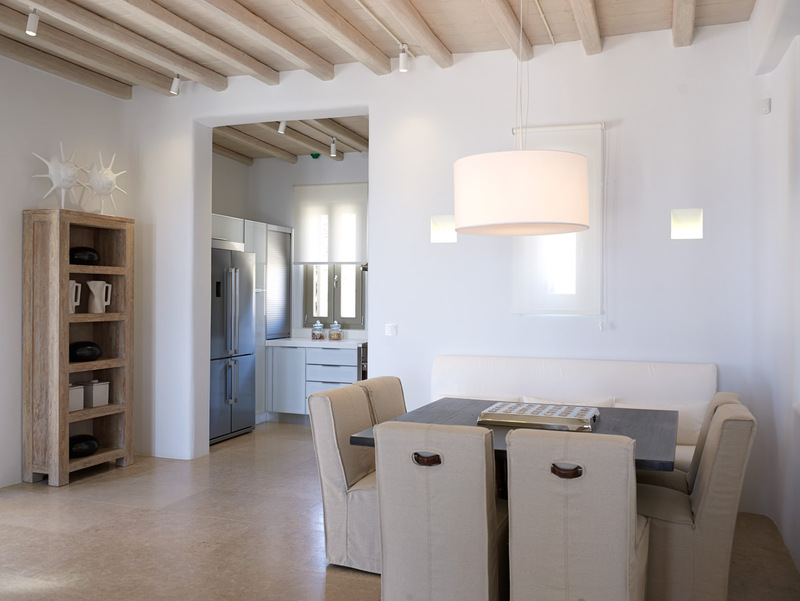 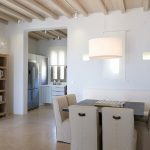 Design features including a preference for natural textures such as rattan, stone and wood, as well as high ceilings with exposed beams, add a warm and approachable touch to this grand villa. 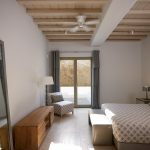 In addition, the rooms are light and airy, with elegant, simple lines and large windows that allow for the natural light to fill the shared living spaces. 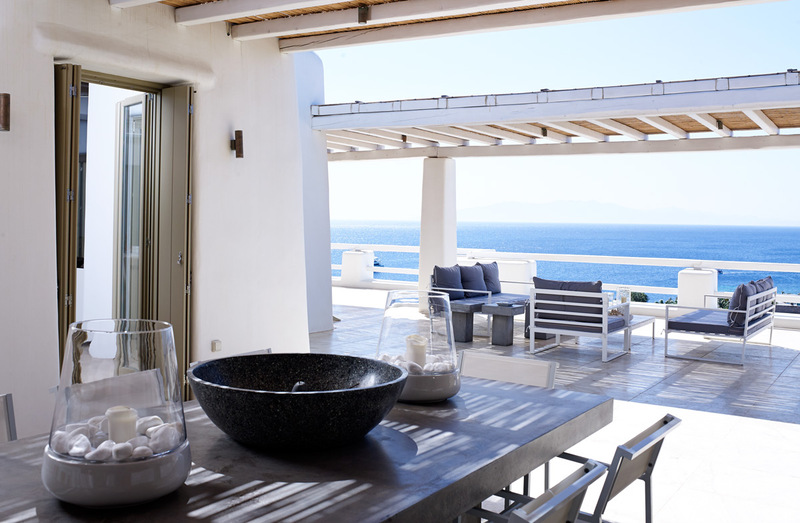 These windows also take full advantage of the captivating views out over the sea and the dazzling pool, as does the expansive roof terrace. 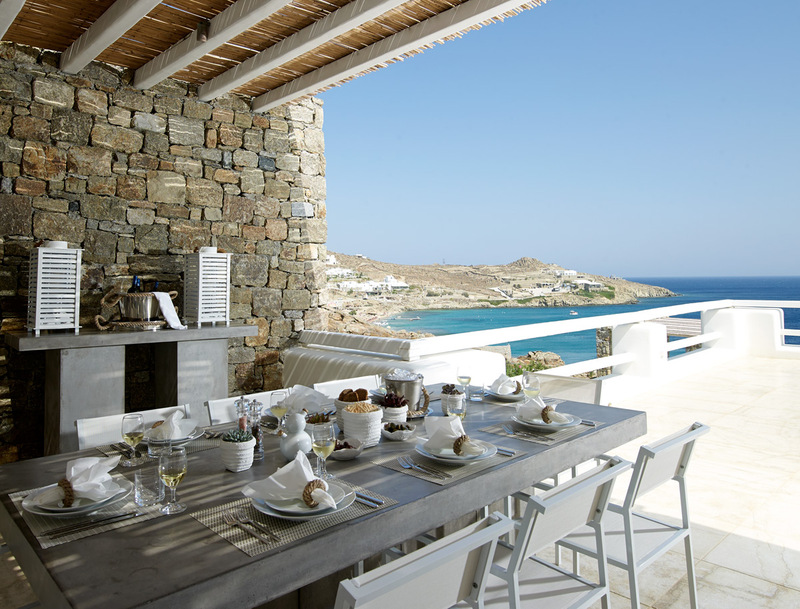 This tiled terrace area is yet another chic living space, ideal for enjoying al fresco meals in view of the sea, or just spending time together. 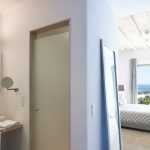 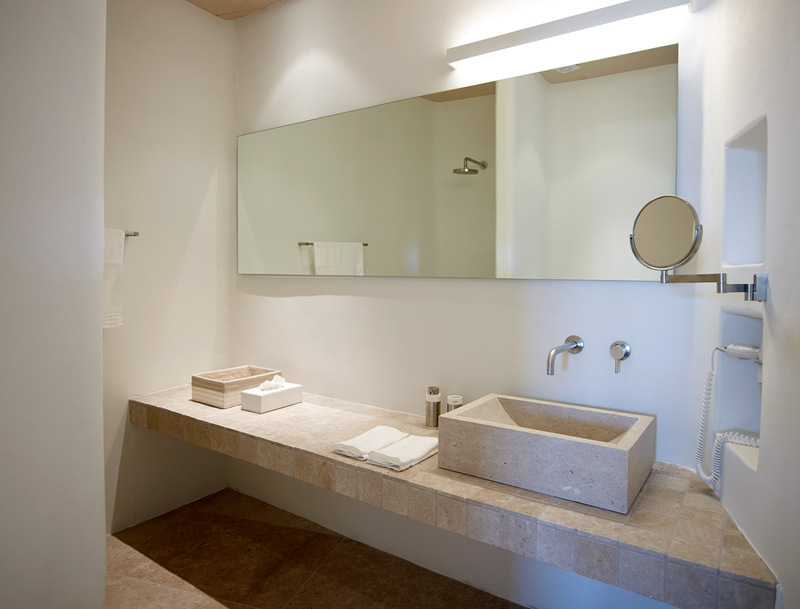 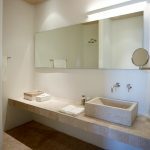 A total of eight luxurious and spacious bedrooms are found within the property, and each enjoys the privacy and convenience of a stylish en-suite bathroom. 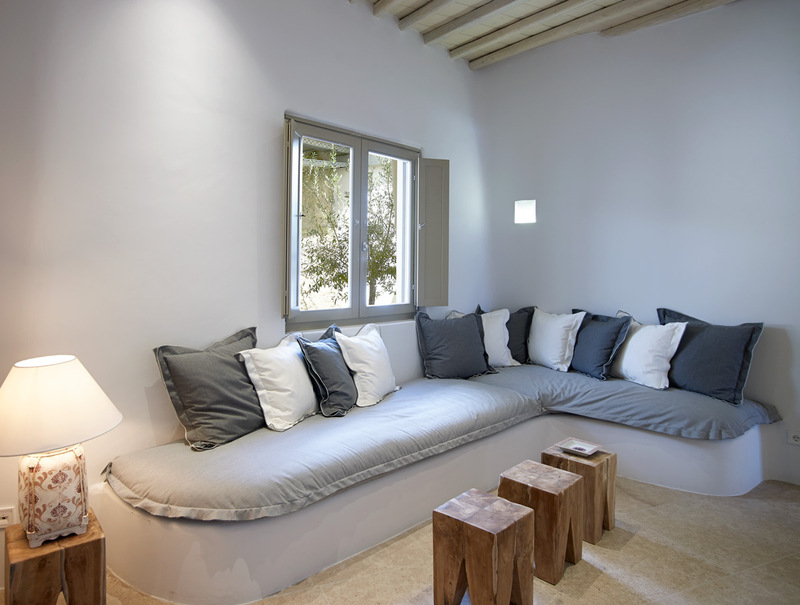 Each room also has a television, perfect for cozying up for an evening movie. 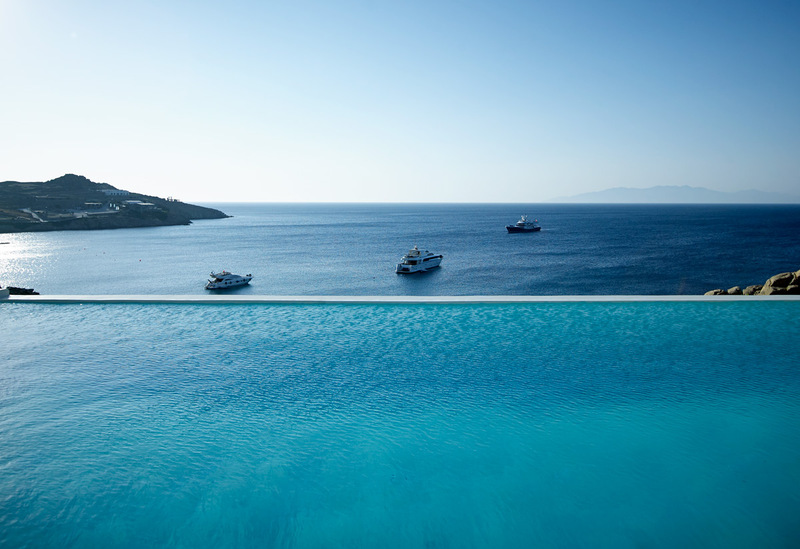 Step directly out of the stylish bedrooms and you find yourself out on the chic cement pool deck, gazing at the glittering infinity pool before you. 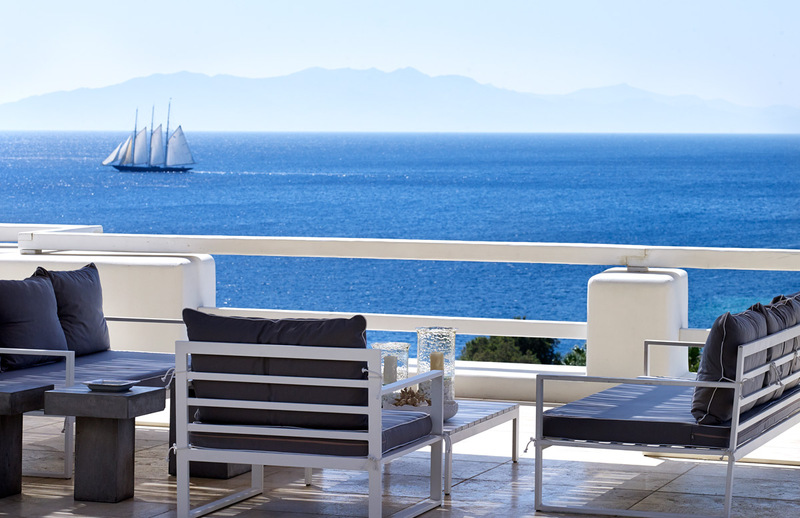 Flanked with sun lounges and umbrellas, it’s the ideal place to spend lazy mornings or afternoons, basking in the glorious weather and relaxing ambience. 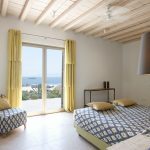 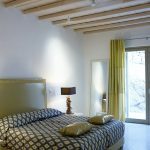 Villa Pamela can be rented separately or with its sister luxury Villa Julia to sum up a total of 16 bedrooms and sleeping up to 32 adults. 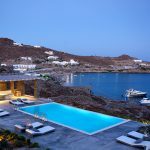 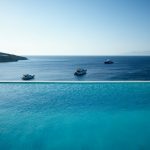 To help draw you away from the pool, Paradise and Paraga Beaches beckon, each just a few minutes’ walk away, while all of Mykonos’ alluring attractions are within a short drive. 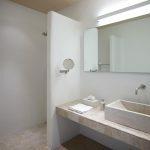 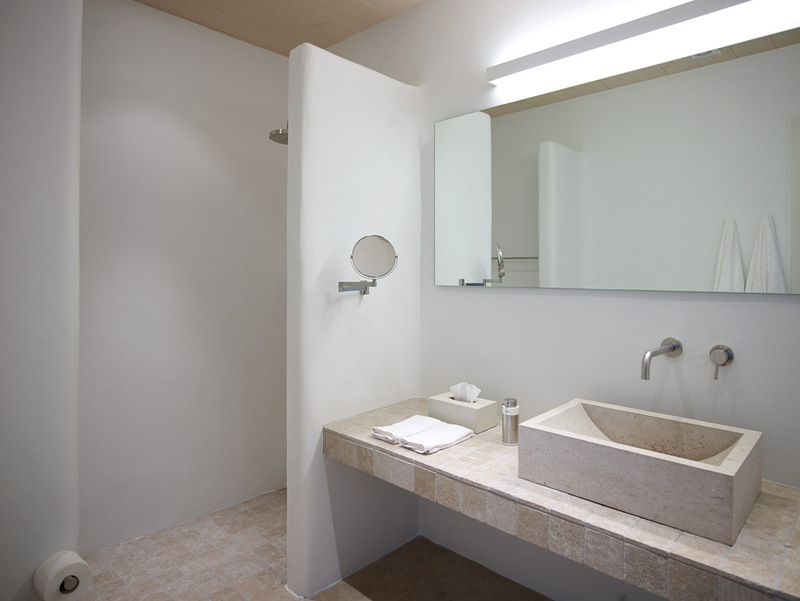 It’s a peaceful yet convenient location, tucked away in your own private space close to the main attractions.